Fancy a little wild boar? This is Osteria Del Cinghiale Bianco, the restaurant in the Oltrarno district in Florence where we ate before heading over to the Arno to take pictures. It looks like so many other restaurants throughout the area. When we got there, we were very early by Italian standards – around 6:00pm. They grudgingly gave us a seat, even though we didn’t have reservations. Evidently this place isn’t all that easy to get into during the high tourist season. The early seating was full of tourists who are unable to wait until 10pm for dinner with the locals. When we left, there was a line down the street to get in. Maybe eating early wasn’t such a bad thing. ← Sunset, the Arno and Me. Eating early is never a bad thing. I have never eaten boar. All I know is that the animals are more than imposing. Also – how in the world is it that I only now discovered you have a website? Good grief, where the heck have I been? It is great! Hi Adri!!! So you discovered me 🙂 love that …. and thank you! I love this blog! I can’t wait to read more. I ate there in 2010! It was fantastic, and yes, I did have the wild boar! I wish I had too!!! 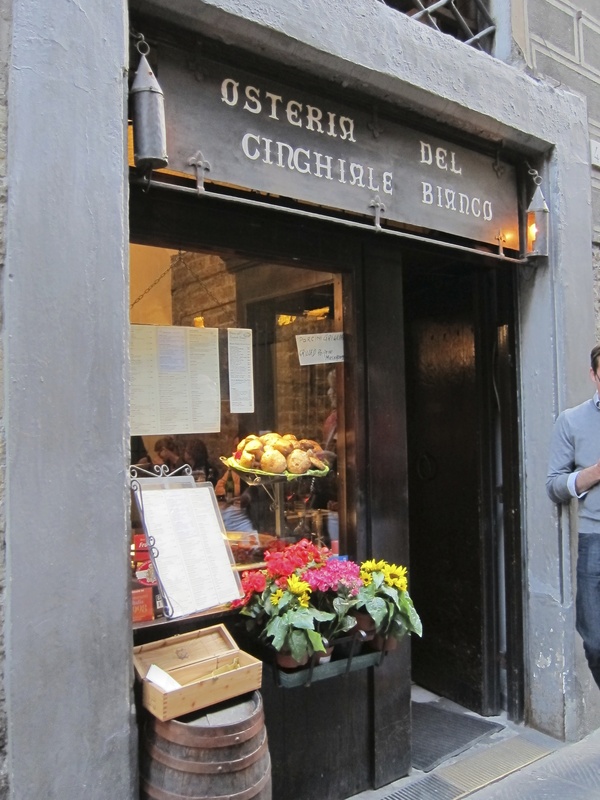 One of my favorite restaurants in Florence! Yes please!!! Boar is delicious. I sometimes go for dinner early – the Italians think we’re nuts. I reckon sometimes they cannot figure out if it is an early dinner or a late lunch!